Using solar water heating brings two benefits – greater efficiency and an easy way to store energy as hot water for later use when the sun goes down. This is the final part of a four-part article series about how to store electricity (better thought of as storing energy rather than electricity per se). If you arrived directly here from a link or search engine, you might wish to start from the first part of the series here, then read on sequentially through the balance of the series. Storing electricity is usually both the clumsiest and costliest way of productively using up spare/surplus electricity. You lose some electricity when you convert it to however it is stored, you lose more during the storage process, and then you lose even more when you convert it back to electricity again. So it is better to time-shift as much as possible to times when you have spare electricity. One example of a time-shiftable process would be washing clothes and dishes (assuming you still will use an electric dishwasher in the future, which is unlikely). With these types of activities, you can wait until a day with lots of electricity coming from the PV cells or wind turbine before washing your clothes (and/or dishes). If you have an electric range, you should use it to cook food during times of peak electricity production. Maybe you’ll change your eating habits and have your main meal of the day in the middle of the day (something many societies already do and which many health experts think to be a better approach to eating) so that the cooking energy is sourced when the sun is shining brightly or the wind blowing strongly. If you are vacuuming, do that when there’s spare electricity, and never when you’re using stored electricity. There’s almost never an emergency requiring urgent vacuuming in the middle of the night! Try and match your own sleep and wake times to the sun. If you’re sleeping during the morning with daylight flooding in to the retreat, but then staying up late at night, using electricity to power lights and possibly heating too, that is more wasteful than using the sun for light as much as possible, and sleeping in a warm bed during the coldest part of the night. Take your shower/bath in the morning if possible so as to allow the system all day to reheat the water. Or, alternatively, after using hot water at night, don’t use stored electricity to heat up the replacement water, and instead wait until the morning to do that. Which leads to another strategy. 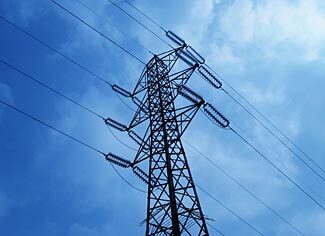 Another approach to storing electricity is to store the results of using electricity. We started to get into that in the preceding section – heat your hot water when you have spare electricity to do so, and then deplete it when you do not have spare electricity, and only reheat it again when you have the spare electricity back to do so. An easy and low tech type of storage is to store heating or cooling energy. There are special ‘storage’ heaters that will run when you have spare electricity and heat maybe a large vat of oil or even a block of concrete, then at night, you expose this heat source and allow the heat to transfer out and into the surrounding areas of your retreat. You can also do this for cooling. When there’s surplus electricity, make large blocks of ice. Then, when you need extra cooling but no longer have extra electricity, allow the ice to melt, cooling the area around it. These are low tech but sensible concepts. Indeed, many large buildings currently use these types of systems for more efficient heating/cooling. You can do the same. Electricity is an ‘expensive’ form of energy – it is close to the top of the ‘energy pyramid’, just like beef is close to the top of the food pyramid (in terms of the amount of feed and water needed per pound of meat). If you can replace electricity with other forms of energy – forms which may be more abundant, and/or lower tech and more sustainable into the indefinite future – you’ll be doing yourself a favor. One example of this substitution is to mount a solar water heater on your roof. That way, instead of using solar energy to create electricity and then the electricity to heat the water, you go directly from the solar energy to the hot water, in a much more productive/efficient process, and also in a lower-tech form. 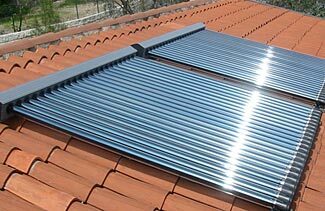 A solar water heater is easy to construct and easy to maintain. But as your PV cells fail, you’ll absolutely not be able to repair them yourself, and no-way can you fabricate your own additional solar cells in a low-tech future. 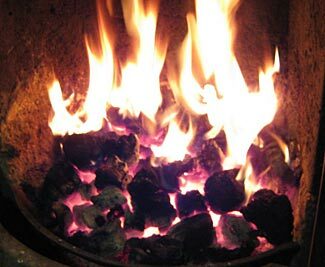 Another example is to use wood (or coal or peat) as a heat source for heating your retreat, your hot water, and possibly even for cooking with as well. Or, if you’re using propane to power a generator, get a propane rather than electric stove and burn the propane in that stove. You’ll use less propane to directly power your stove than to first convert it to electricity and then to second convert the electricity to heat on your stove. Remember that the first part of an electricity storage system is having ‘spare’ electricity to store! Once you’ve done what you can to minimize your reliance on stored electricity, the next question becomes how you will get the electricity to store. Clearly, you will do this by increasing the capacity of your renewable energy sources so they can simultaneously meet your normal electricity needs and also send extra capacity into the storage system you selected. And, equally clearly, the electricity source(s) you have must be able to generate enough spare electricity each day to be stored to be used each night. So you need to consider the answer to this question – ‘assuming a less than fully sunny day, or a day with poor rather than optimum wind, how much power do I need generated for the day’s requirements and to recharge for the night ahead as well?’. 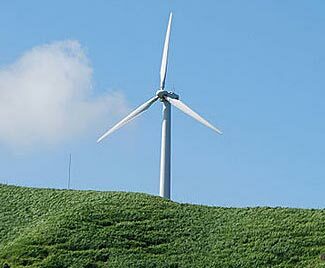 Remember that most solar and wind generators are specified as having a certain capacity on a good/close to optimum day. You’ll need to adjust the claimed daily capacity to more accurately reflect the real-world rather than best-case probability of electricity it will create for you. Maybe you need to get a system which is apparently twice the capacity you need, just so that in periods of low generating conditions, it still generates enough for both your immediate and your storage needs too. Now, for an interesting additional factor. The greater your storage capacity, the smaller your surplus daily generating capacity needs to be. This is because the extra storage capacity gives you a greater ability to average out the peaks and troughs of actual daily electricity production. One more consideration. 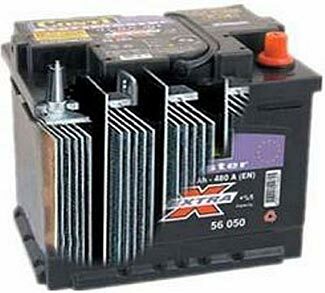 Most lead-acid batteries require a certain minimum charge rate in order to effectively charge, so you need to be sure that your electricity source will deliver enough charge to actually load electricity into the battery. Think of a helicopter – it uses a lot of energy just to hover – you don’t want your battery to just hover, you want its charge level to rise, so you need to provide more than this ‘hovering’ amount of energy to actually raise the battery’s charge. 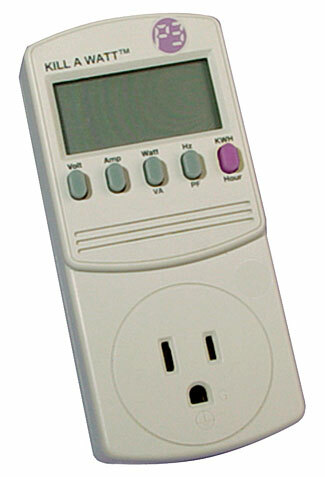 Whatever you come up with, you must have a system that on an average/ordinary day will provide enough electricity during the day for all the daytime needs in your retreat, plus enough left over to replenish a typical night-time’s consumption of electricity, plus perhaps still more left over to replenish one more typical night-time’s consumption, too. 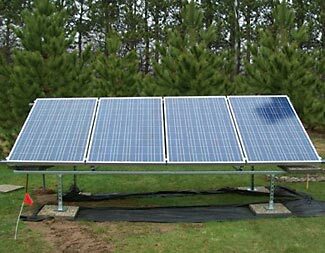 Spending $10,000 for a 5 kW solar array might seem like a lot of money, and of course, by any measure, it is indeed a substantial sum. But – and you can absolutely trust us on this – in a Level 2 and particularly a Level 3 situation – your future lifestyle and ability to survive will be totally linked to your ability to generate your own energy, particularly in the form of electricity. So get as much electricity generating capacity now as you can afford. Particularly if it is modular, it can be either used or traded in the future, and you’ll quickly discover the essential nature of energy in a future Level 2/3 situation. If you’ve not yet read them, you might want to read the first three parts of this series too – Storing Electricity, Using Batteries to Store Electricity and Other Energy Storage Methods. Some preppers have truly impressive fuel dumps, with literally thousands of gallons of gasoline stored at their retreat, representing a multi-year supply, assuming they are using it regularly. Ooops – that may be an incorrect assumption to make. If they’re not living in their retreat full-time, their stored fuel is probably just sitting there from one month and year to the next. What’s more, if they do occasionally take some fuel out for general consumption, and then subsequently top up their tanks again, what has just happened? It is like the jug of ‘fresh milk’ in the fridge. Understanding this issue is an important part of developing an appropriate storage plan for your fuel supplies. Each morning, a housemaid would take out of the fridge and top up the decorative jug of milk and put it on the breakfast table for the family to pour over their cornflakes, into their coffee, and so on. After breakfast, the maid would return it to the fridge, and top it up again from the carton of milk bought at the supermarket. But over time, the milk became staler and staler, because each time it was topped up, a little fresh milk was added to a lot of older milk, so that some of the old milk stayed and stayed and stayed. You might notice a similar thing in a restaurant – the carafe of coffee gets half emptied, and then the hostess tops it up with a partial fresh carafe of coffee. The next person who gets a cup gets half a cup of fresh and half a cup of stale coffee. Then, after half the carafe has been emptied again, and it is topped up with fresh coffee again, the next cup has a quarter mix of double stale coffee, a quarter mix of stale coffee, and a half mix of fresh. And so on and so on, with the average age of the coffee, milk, or whatever, getting older and older each time it has been topped up. To avoid this, you need to fully empty the container before refilling it. Perhaps the ‘big three’ liquid fuels that most people consider storing would be gas (petrol), diesel, and propane (lpg). 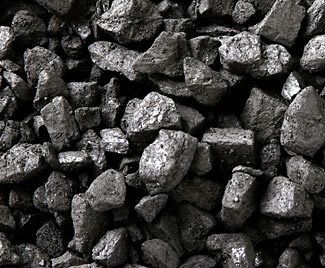 Note that we are confining this discussion to liquid fuels – please also see our separate detailed article on coal as another possible energy source for your retreat. Both gas and diesel have storage life challenges, whereas propane is relatively straightforward to store for extended periods of time with little concern about it deteriorating in quality. You’ll need liquid fuel for some obvious purposes. The two biggest requirements will probably be power generation and transportation; you may also use liquid fuel for smaller equipment motors, for heating and for cooking. Ideally it would be great if you could settle on only one form of liquid fuel for all uses. 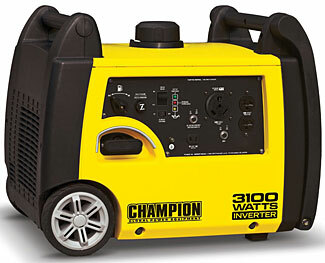 Certainly generators can be powered by any of these three fuels, and it is possible to get motor vehicles that run on propane or which are dual fuel, running on either gas or propane. In terms of storage costs, diesel is slightly the lowest (because each gallon of diesel fuel contains more energy than petrol or propane) and propane is the highest (you need special pressurized tanks and propane has the lowest energy content per gallon). In terms of cost per unit of energy, this varies depending on how much tax you have to pay on the different fuels, and it would be appropriate to research the costs for all three fuels that you would buy for non road transport purposes (and for road transport purposes too of course). Some states nowadays include all the ‘road/transportation’ taxes in the cost of gas or diesel, even if it is being used for eg farm equipment, boats, or generators. Others are not quite so unfair in their approach. The relative price between petrol and diesel doesn’t change a great deal over time, but the relative cost between propane (which is often made from natural gas) and petrol/diesel (which of course comes from oil rather than natural gas) can vary widely. At present propane seems to have the lowest cost of the three fuels, with diesel perhaps the middle cost item and gas as the highest cost. In Washington state, at the time of writing, bulk gasoline is about $3.90/gallon for regular, bulk diesel is about $4.10, and bulk propane is about $2.30. But it is not very meaningful to simply compare the respective costs per gallon of fuel, because each gallon of fuel delivers a different amount of energy, measured in BTU/gal, or if you prefer, in MJ either per liter or kilogram. To match these per gallon costs to costs per BTU of energy, gasoline is about 3.12c per 1,000 BTU, diesel is 3.00c (and you’ll get better efficiency – ie more power – from each BTU as well) and propane is 2.52c; clearly the cheapest of the three fuels in terms of ongoing costs of propane. Diesel motors are typically more expensive than petrol motors, but they are also typically massively more reliable and much better for extended operation (such as with a generator) and also can usually be modified to accept bio-diesel type products of various sorts, making them more flexible for the long-term where your bunkered stores of fuel are diminishing with no replacement in sight. On the other hand, just about everything from hedge trimmers to chainsaws to cars, trucks, boats and planes can be found with gasoline powered motors. And while it is hard to envision a situation where you’d feel you had spare fuel you didn’t need, if you wanted to trade fuel for something else with someone else, they are probably most likely to need gasoline first, diesel second, and propane third. Petrol and diesel are perishable. Both fuels can have a problem with moisture – particularly petrol with alcohol added to it; the complex mixture of chemicals that makes up petrol (petrol is not just one pure liquid, it is a veritable soup of different chemicals) can decompose and change properties, and these days there are bacteria, algae and fungi that enjoy living in and eating diesel. Here’s an excellent article with a fascinating graph that gives a good overview of the complexity of what is blended into gasoline, and some of the issues associated with modern fuels and the engines that run them. The bottom line – you can risk harming your engine with older diesel or petrol, and or the engine might simply fail to run at all. Generally both petrol and diesel starts to become appreciably affected by aging within about 3 – 6 months (or less) of being purchased. Apart from doing the same things with fuel as you do with food (ie keeping it in a cool dry dark place) you’d want to provide a good seal on the tanks (to stop moisture and oxygen coming in and volatile compounds going out) and should treat the fuel with PRI-G (for petrol) or PRI-D (for diesel) once every year. Diesel might also require some PRI-SOLV and/or PRI-OCIDE too. PRI-G and PRI-D need to be applied to fuel annually, although some tests have suggested that a single dose of PRI will have positive effects spanning more than a year. One gallon of PRI-G/D will treat 2,000 gallons of fuel, at a cost of 4 – 6 cents/gallon/year. If you buy in bulk drums rather than 1 gallon containers, the price can drop further. With such a low cost per gallon, and with the desire to have as good quality as possible fuel, you should add PRI each year, at least until such time as you run out of PRI itself. It is unclear how many years of life you can get by adding the PRI to the fuel each year, but it seems at least ten years, and perhaps more like 15. There’s another issue to consider as well when planning for an extended period of living on one’s own. How long does the PRI product itself last? The manufacturer says that it has a shelf life, in unopened containers, of three years, and recommends it be stored out of sunlight and in a cool place. We endorse that recommendation, of course, and suggest you keep it somewhere as cool and dark as possible, and plan for perhaps no more than a five-year effective life. So, in total, it seems you can probably manage to store diesel and petrol for at least six years before needing access to a freshly made supply of PRI. There is a better known product also for sale, STA-BIL. It is more expensive and based on their claims, seems to be not as effective (in terms of long life extension) as PRI. The PRI products also claim to be able to rejuvenate and restore old fuel that hasn’t been treated with PRI previously. STA-BIL says their product can’t do this. A fuel ‘polishing’ system – at the very least, some fine filters, and perhaps even a centrifugal system – would also be recommended, particular for diesel, so as to ensure the fuel when you use it is as clean as possible and least likely to block the injectors in a diesel engine. ‘You are what you eat/drink’ applies not just to the need for us to consume healthy food ourselves, but to our mechanical equipment too. Propane on the other hand is relatively inert and can last for an uncertain amount of time, but probably some number of decades. The problem with extended storage of propane will relate more to the integrity of the tank it is stored in and the seals where fittings connect to the tank and each other. The propane is under pressure in the tank – several hundred pounds per square inch, so even the slightest bit of a leak along a weld seam or seal will see propane slowly escape over the time it is stored. Remember our comments above about the jug of ‘fresh’ milk or coffee? If you are going to have a fuel dump at your retreat, you need to have at least two and ideally four or five or more tanks. You should empty each tank fully, in sequence, and only refill tanks when they are completely empty. That way the amount of stale fuel carried over from one refueling cycle to the next is minimized, and by having four or five tanks instead of only one or two, you will in theory only have one of your four or five tanks empty at any time, meaning your total fuel supply never drops much below about 80% full. With only two tanks, you’d not trigger a refill event until after you’d used up half your total supply, a much less positive situation. Note that this is less a requirement for propane, due to it not appreciably aging. It is more acceptable to simply top up your propane tanks, mixing new propane in with the old. Some companies will rent you storage tanks if you contract to buy your fuel needs from them. The rental cost can be anywhere from $1 a year up to much more than that, depending on both the size of the tank and your projected fuel purchases. While it seems appealing to get a subsidized tank as part of a supply deal, remember that favorite aphorism – TANSTAAFL – and realize that a subsidized tank is actually being subsidized not by your supplier, but by you. You just don’t necessarily realize this is what is happening, the way the numbers are presented to you, but for sure, the underlying costs of the ‘free’ storage tank are being paid for by you. You’re also locked into only one supplier. And you’re more or less stuck with the size tank they agree to lease to you – and for sure this will be much too small a size if you’re wanting to be able to store several years worth of projected supply. There’s another thing about leasing storage tanks from someone else. When LAWKI ends, what is to stop the supplier from turning up on your doorstep and saying ‘sorry, we want our tank back, here’s your $1 returned to you’. They could quite credibly claim that ‘force majeure’ allowed them to terminate their contract. Sure, they’ll give you a day or two to transfer the fuel which you own out of their tank and to some other storage facility (or probably would agree to buy it back from you at whatever price you earlier paid for it), but where or how are you going to transfer propane? How many 20lb barbeque sized tanks would it take to hold 1,000 gallons of propane? (Answer = 210 tanks). You probably wouldn’t have thousands of gallons of storage facility for gas or diesel either, but the loss of your propane tank would sure be a worst case scenario. So our suggestion is that you should buy your own tanks for storage. If you’re storing petrol or diesel, we suggest you use underground tanks – they are discreet, they are temperature controlled and kept cool year round (by the earth around them), and they are protected from many types of physical risk or threat or abuse. Propane is trickier to store than petrol or diesel, due to it being kept under pressure when in liquid form. Although it is possible to have underground propane tanks, they are more prone to problems, in particular because they flex and move as between when they are nearly full and nearly empty. It is possible to create satisfactory underground storage for propane, but the risk of problems is higher, and in a post TEOTWAWKI situation, you can’t simply telephone the local propane tank servicing company and have them repair/replace a tank and refill it with replacement propane if you discover your tank has sprung a leak and emptied out. On the other hand, an above ground tank is more vulnerable to physical attack/accident and is a more obvious visual clue that you probably have some valuable and tempting fuel on your property. If fire and building codes permit, it might be appropriate to consider erecting a shell building around your tanks to at least obscure them from prying eyes. A 1000 gallon above ground propane tank costs $2200 – $2500, and installation is likely to be that much again, so there’s a major cost associated with a propane store. In other words, you’re looking at an all up price of about $5/gallon for a large-sized propane storage facility. As an alternative, you could buy a huge propane trailer to be truck hauled. These could have capacities of 10,000 – 25,000 gallons, and would cost you, ex-China, $30,000 – $50,000 plus shipping. This would reduce your overall cost per gallon for storage, and you could probably buy propane at even lower costs, but your up-front investment would be larger (this is an understatement) and you’d have additional licensing requirements. There are smaller sized tanks too – 500 and 250 gallon tanks, and even smaller ones than that, but as the tank size goes down, the cost per gallon of storage capacity starts to increase. The sweet spot for most people will be in the form of multiple 500 or 1000 gallon tanks. No matter what the fuel, we’d prefer to have two half sized tanks rather than one full sized tank. That way if something should happen to a tank, you’re not risking your entire fuel supply. Diesel and petrol tanks need occasional maintenance – primarily to do with draining any water that may have accumulated on the bottom of the tanks, and repairing any rusting the water may have caused. 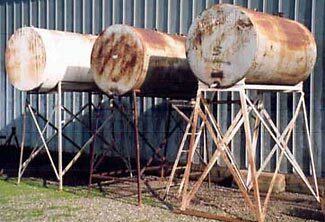 In ground tanks probably have sacrificial anodes attached, so these anodes rust away rather than the tanks. The anodes need to be replaced from time to time. All tanks (including propane) need to have seals checked. For these reasons it is good to have a multiple tank storage system, allowing you to take one tank offline for maintenance and repair without compromising the amount of fuel you keep in store. Would we be stating the obvious by mentioning the need to also keep lubricants for whatever engines will be burning the fuels you are storing? Keeping oil clean and fresh is even more important when engine failures are not just costly and inconvenient, but may become life threatening and mean the difference between power and/or transportation and not. Fortunately you probably won’t need thousands of gallons of lubricants. Adopting the best practices detailed in this article, you can realistically expect to be able to store petrol or diesel for at least five years, and propane for pretty much as long as you choose to. Propane is the best value fuel, but it has the highest up-front costs of buying the storage tanks you’ll need. Diesel is probably best for generators. Petrol (gasoline) the usually the most expensive fuel, and harder on engines than propane, but is also the fuel you are most likely to be able to use with the most number of engines. For ongoing use and general ‘normal’ living, we’d recommend propane, storing enough for a year or so of normal consumption – whatever represents a sweet spot as between cost of the storage units and cost per refill and the quantity discounts you might be able to secure. For medium/long-term disaster preparedness, and to power vehicles of various sorts, you might want to have bulk supplies of diesel and/or petrol to augment the propane you keep on hand.